Sunday’s instalment of the BBC show saw officer John Corbett (Stephen Graham), who is deep undercover as a baddie, communicating with mysterious crime boss H.
Fans could barely contain themselves about the word “definitely” being spelled incorrectly, with many expressing their thoughts on social media. 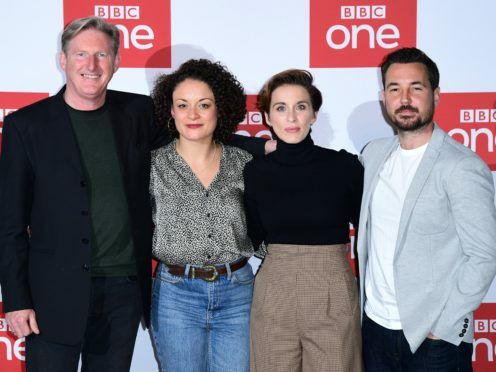 “Any chance of some correct spelling on #LineOfDuty,” asked one person on Twitter. “#LineOfDuty it’s ‘definitely’ not ‘definAtely’,” said another. “I can’t get over the spelling error in #LineOfDuty. If you put an ‘a’ in ‘definitely’ you are definitely a criminal,” joked one person. However, others pointed out that the blunder may have been an intentional part of the storyline. “Was that spelling mistake a clue? #definately #definitely #LineOfDuty,” posted one viewer. “I feel the spelling of “definately” is going to be a crucial piece of evidence,” said another. “Hastings can’t be H cos I refuse to believe the man who conducts himself to the LETTER OF THE LAW can’t spell ‘definitely’,” said another.